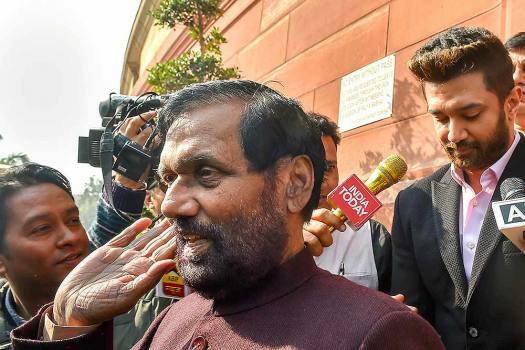 Union minister and LJP President Ramvilas Paswan with party MP Chirag Paswan during the Winter Session of Parliament, in New Delhi. 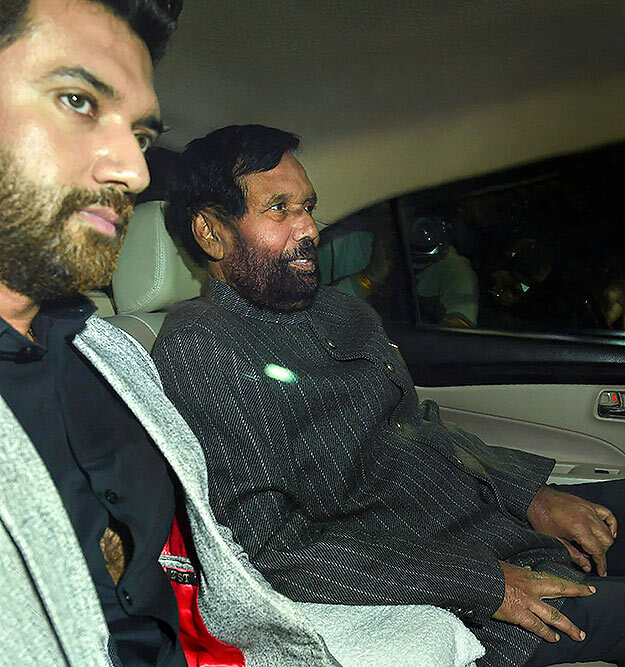 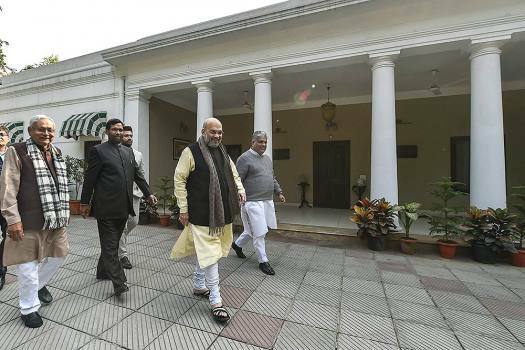 Union minister and LJP President Ram Vilas Paswan along with his son and party MP Chirag Paswan leaves after meeting BJP President Amit Shah in New Delhi. 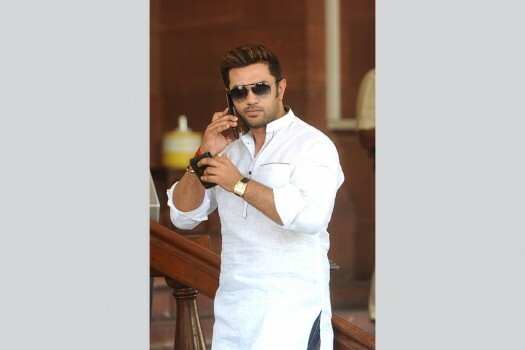 Lok Janshakti Party leader and Member of Parliament Chirag Paswan at Parliament house during the last day of monsoon session, in New Delhi. 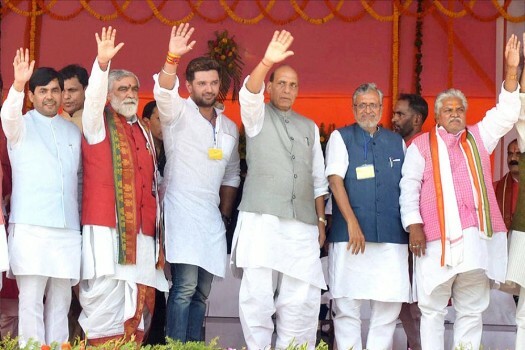 Union Home Minister Rajnath Singh with senior leader Shahnawaz Hussain, Sushil Kumar Modi and LJP MP Chirag Paswan at Veer Kunwar Singh vijayotsava program, in Saharsa. 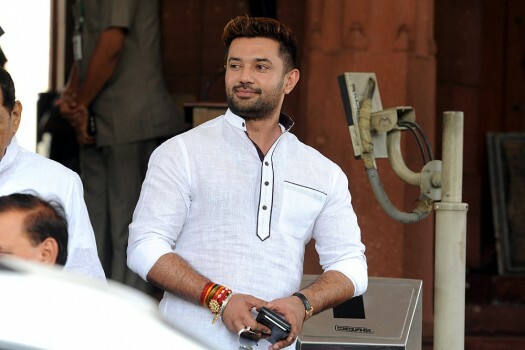 Lok Janshakti Party leader and MP Chirag Paswan at Parliament House during the budget Session, in New Delhi. 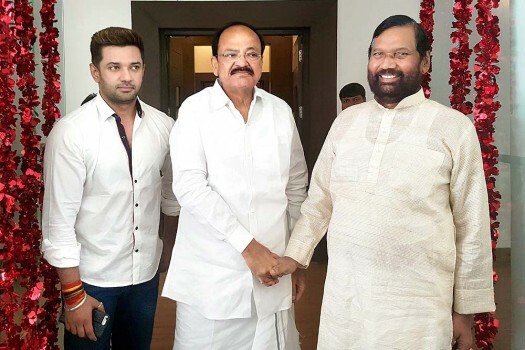 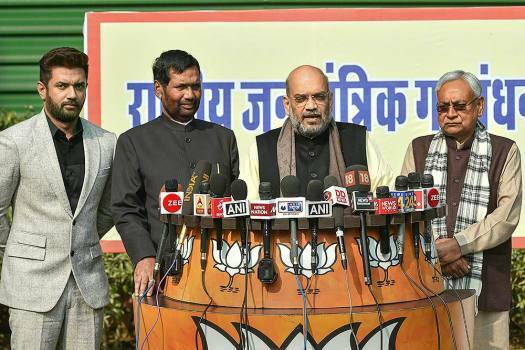 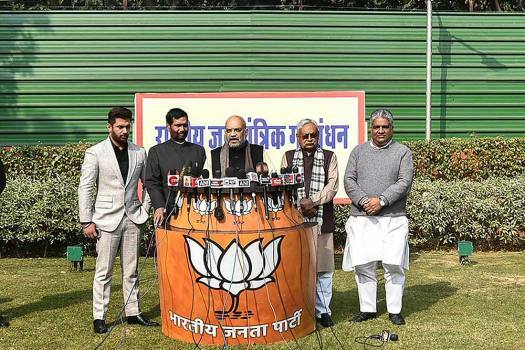 In a series of tweets, LJP parliamentary board chairman Chirag Paswan expressed disappointment over “no headway” despite “a number of meetings with the BJP leadership” over the issue of seat-sharing in Bihar. 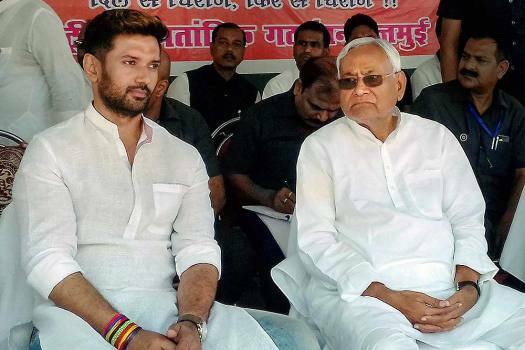 In an interview with Outlook, LJP leader Chirag Paswan talks about anger among Dalits over the NGT chairman’s appointment and circumstances for ‘social justice’ oriented parties. 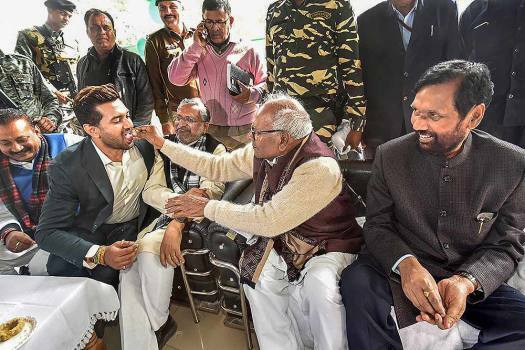 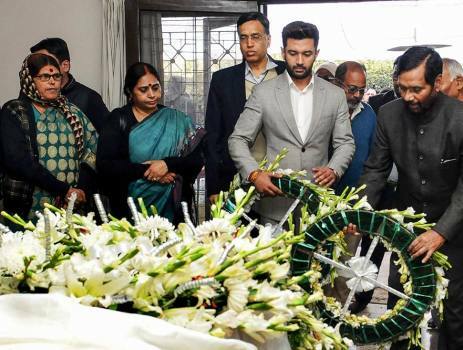 Chirag Paswan said patience of many within the Lok Janshakti Party is running thin as circumstances raising concerns of the Dalits and tribals have emerged of late. 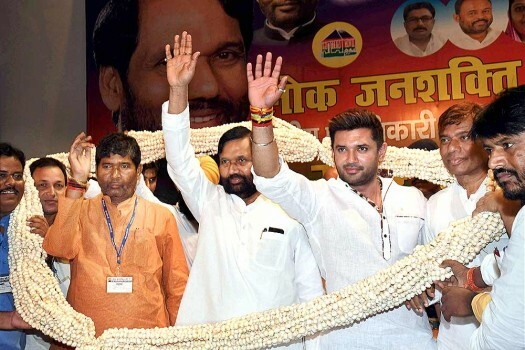 In an interview to Outlook, Lok Janshakti Party leader Chirag Paswan says Dalit and Muslim communities are natural allies and they are both sufferers in the so-called hierarchy of the caste system.